ThinkGeek USA offers 20% OFF storewide with promo code shown below. Minimum spend of US$40 is required. Direct shipping to Singapore is provided with additional fee. You may consider vpost instead. You can get Iron Man 3 Tony Stark Light-Up LED Shirt and many other popular T-shirts from ThinkGeek. 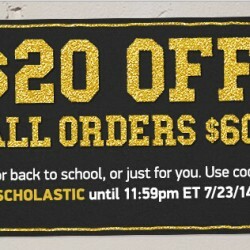 ThinkGeek USA offers US$20 OFF US$60 Back to School Promotion with promo code "SCHOLASTIC". Direct shipping to Singapore is available. You may choose vPost instead (Free shipping within USA with min. order of US$75). The promotion ends at 23 July 2014. Direct shipping to Singapore is available. You may choose vPost instead (Free shipping within USA with min. order of US$75). 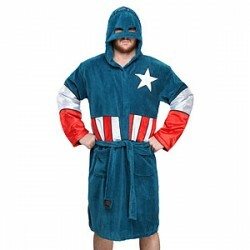 ThinkGeek USA | 20% OFF Storewide "GEEKROAR"
ThinkGeek USA offers 20% OFF storewide with promo code "GEEKROAR". The coupon code is even applicable for SALE items. Direct shipping to Singapore is provided with additional fee. You may consider vpost instead.